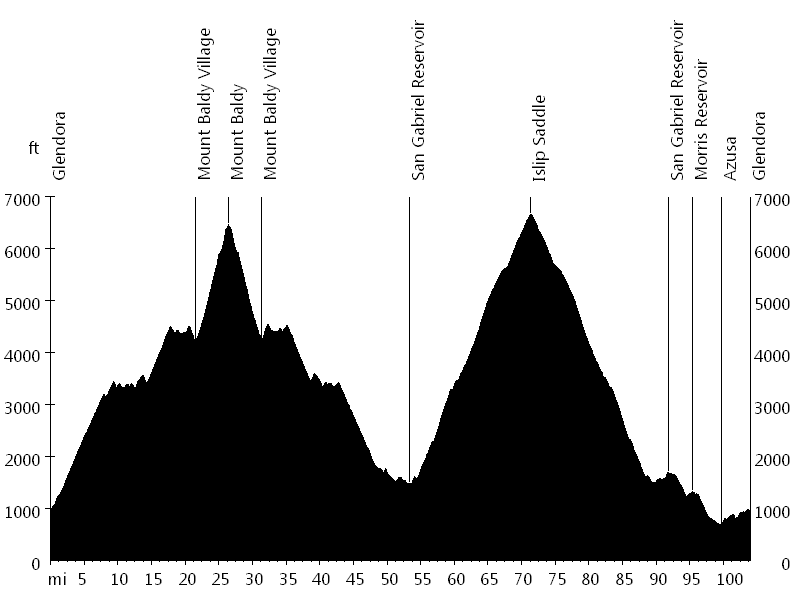 This ride is a variation of the Mount Baldy Notch and Crystal Lake multi-surface century and of the Dawson Saddle and Mount Baldy super century. 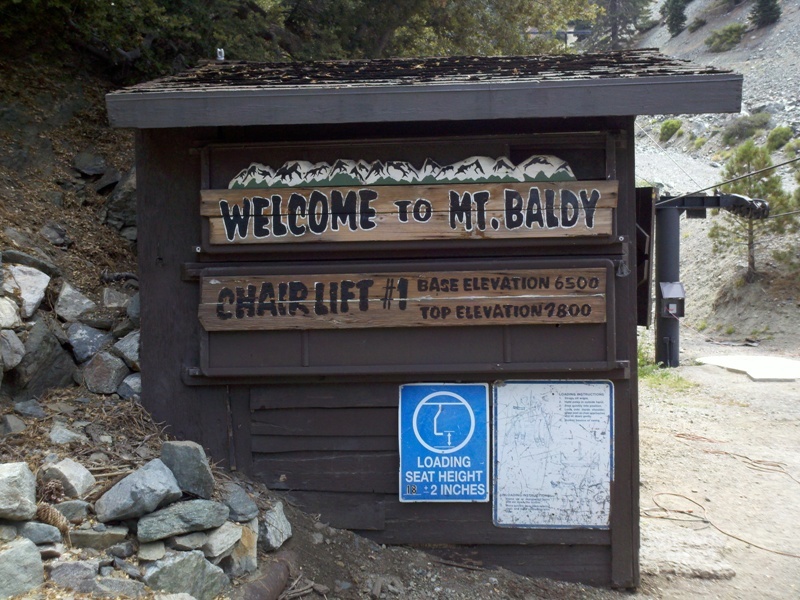 Three routes lead up Mount Baldy, including Mount Baldy Road, Glendora Mountain Road/Glendora Ridge Road/Mount Baldy Road, and San Gabriel Canyon Road/East Fork Road/Glendora Mountain Road/Glendora Ridge Road/Mount Baldy Road. 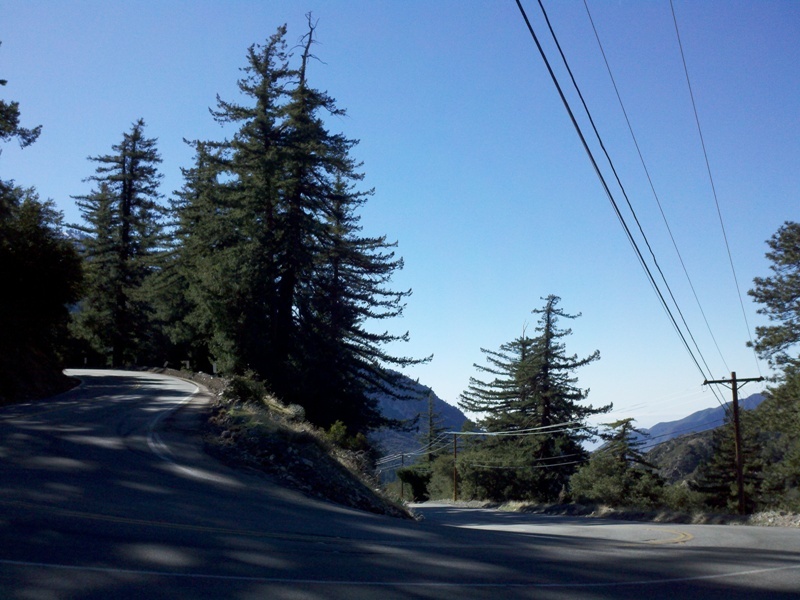 Mount Baldy Road and San Gabriel Canyon Road have some traffic, so Glendora Mountain Road (GMR) is often the preferred option. 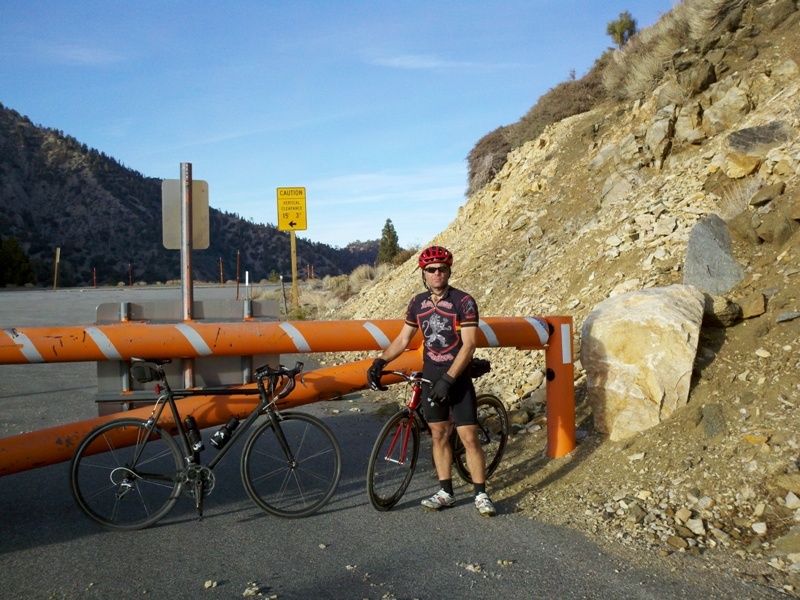 On the descent, East Fork Road leads to the bottom of the second major climb. 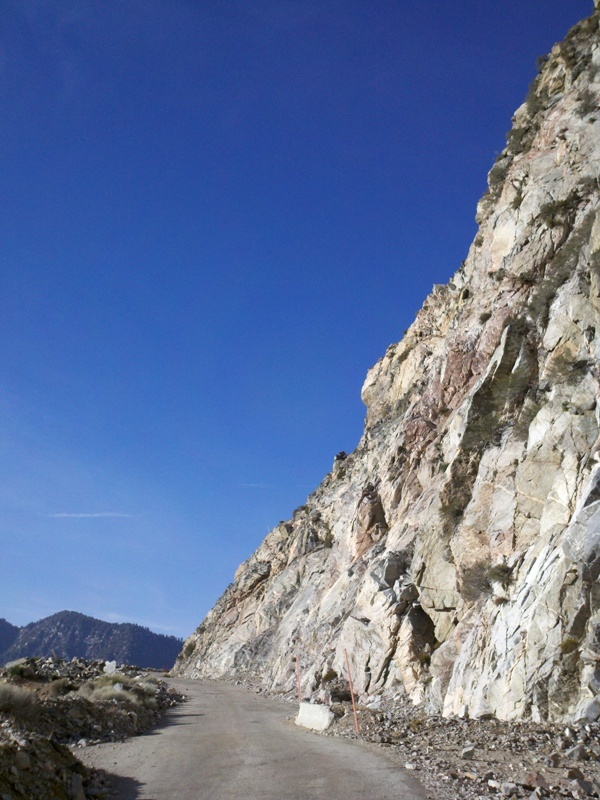 San Gabriel Canyon Road (Highway 39) leads up to Islip Saddle. After the Crystal Lake turnoff, Highway 39 is closed due to landslides, but it is in rideable condition (with a few short gravel sections). Chuck R. came visiting from Maryland. 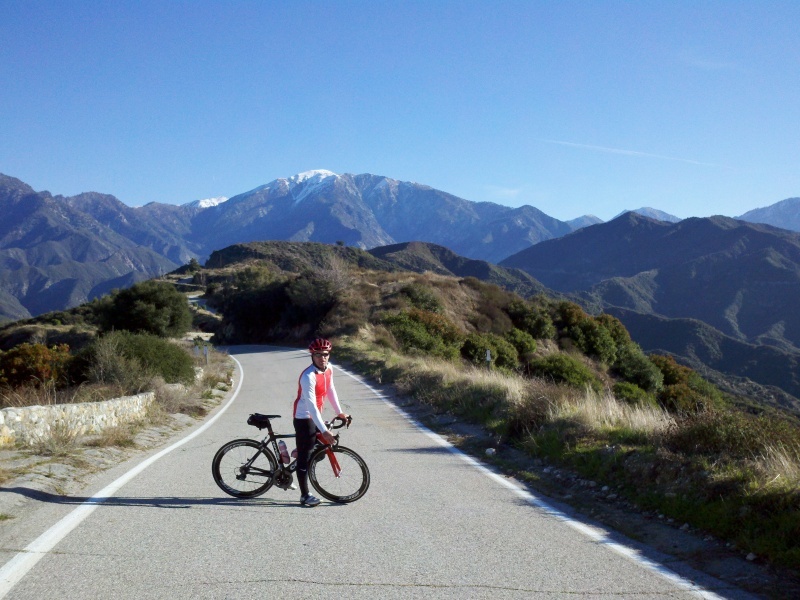 Our original plan was to ride both Mount Baldy and Dawson Saddle, but we ran out of daylight and had to turn around at Islip Saddle (Angeles Crest), five miles and 1,300 vertical feet short of Dawson Saddle. Thanks a lot to Katrina W. for supporting us. Jean C., John L., and I went for part of this ride. 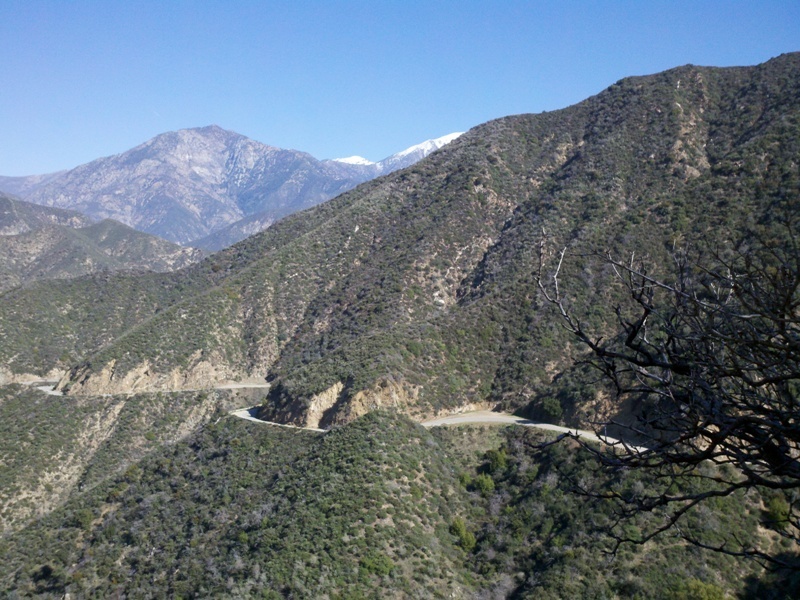 After climbing Mount Baldy, we went down the East Fork side of Glendora Mountain Road to Camp Williams, and then climbed back up in the heat and descended to Glendora.